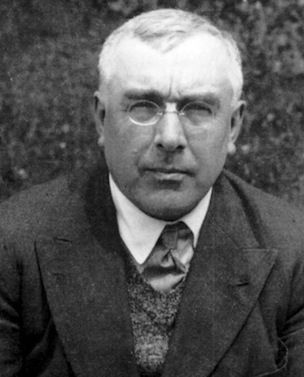 On Thursday, April 5, 1923, Ouspensky received a telegram from his wife, Sophia, telling him to come to the Prieuré. He left the next day. That Saturday and again on Sunday night and several times on Monday and Tuesday Ouspensky spoke with Mr. Gurdjieff. "The gist of it was," recounted Ouspensky, "that Mr. Gurdjieff asked me, did I understand what he said, and did I understand what I must do. And I replied that I understood both. I saw that he was pleased that I realized that, in the given circumstances, I must give up all work in London. He said to me that if you have decided to discontinue that work, that shows that you realize yourself that it gives wrong results." "Many wrong types came to that work," Ouspensky says Gurdjieff told him, "and that I was not careful enough in the choice of my people." Ouspensky accepted that he was responsible for everybody whom he allowed into his London groups. There are definite and very strict rules in the Work and everyone is subject to these rules according to his place and position in the Work, and to the kind of work he is doing…. Responsibility in the Work is very big, and one has to be responsible not only for his attitude, but for all impressions he produces and not only for his own actions in regard to other people, but for all actions of other people in regard to him. The difference between attitude and impressions produced was explained several times. Certainly the most important thing is right attitude, but the right attitude by itself is not sufficient. Because suppose that my inner attitude is quite right in relation to some thing, but my words or actions produce wrong impressions. From the point of view of the Work, this is in some cases almost equal to wrong attitude. As I have already said, one is responsible not only for his attitude and the impression produced by him, but also for the attitude of other people towards him. If someone accuses me of having stolen his watch, which I have not stolen, it is my fault, because I should not be acquainted with him. And if he is in this Work, I am doubly responsible because I brought the wrong man to the Work. My responsibility refers not only to my actions, but to the actions of all the people brought by me into the Work. I am responsible for all their wrong actions in relation to the Work in general, to other people in the Work, to Mr. Gurdjieff, and especially for their attitude towards me. And if someone who has been brought by me into this Work accuses me of something, or misunderstands me, or suspects me of something against the Work, this is considered my crime; for that means that I am a fool, and one has no right to be a fool in the Work. One problem was Lady Rothermere who had sponsored Ouspensky's coming from Istanbul to London and whom he had accepted into the Work. The previous spring she promised Gurdjieff to speak to the Home Secretary about visas. She was going to Spain, however,and two days before leaving she told Ouspensky that she had written to the Home Secretary who had promised to see her on the last day before she left. Orage was to see her that afternoon after she had seen the Home Secretary. When Ouspensky spoke to her on the telephone she told him everything was arranged. The next day Ouspensky received a note from Orage saying that Lady Rothermere had seen the Home Secretary and he said to her that formal visa applications must be sent, and that "he would do all that is possible." Though the applications were sent, for a long time there was no reply. It became known that Lady Rothermere in fact did not speak with the Home Secretary but instead had asked her cousin to do so. "Orage knew it," Ouspensky said, "but he told me a lie because Lady Rothermere asked him to. So they both lied. And certainly it was my fault" [in the sense that he had accepted them into his group]. "Certainly not, Mr. Gurdjieff has nothing to do with it; you must do it yourselves [understand the principles] in your own interests." The next week Mrs. Page quarreled with the group. She went to Gurdjieff and asked if this group was really necessary. Gurdjieff, who knew nothing about the group, said that there must be no groups. Ouspensky said, "She made out of this a big case against me, and said that I had told her to take part in a group which was organized by me contrary to Mr. Gurdjieff's wishes." "How could she say such a thing," Ouspensky said. "She didn't come to my lectures." Young said Mrs. Page told him that Mrs. Rosamund Sharp had told her that Ouspensky always repeated during his lectures that Institute work is not necessary, that it was quite possible to work in London without going to the Institute at all. Ouspensky asked Young why he didn't tell Mrs. Page that Mrs. Sharp was lying. To which Young replied, quite seriously, "How can I say that? I do not know." 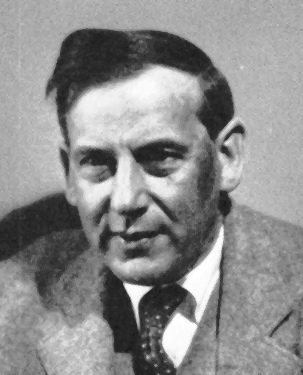 Ouspensky learned that Orage was saying that Ouspensky was representing himself as equal to Gurdjieff and that the Work belonged to both of them. If they repeat these lies, or say that they do not know that they are lies that shows by itself that there is nothing to be expected; because I cannot expect more from other people who did not really belong to my groups, but simply came to lectures. Many of my words and actions were wrongly understood and wrongly interpretedand in some cases with the evident intention to misrepresent my attitude towards Mr. Gurdjieff and towards the Institute work. Then I heard that in connection with newspaper articles Orage had said it was quite evident to him that I had looked through these articles before they were published, and that they were, so to say, inspired by me with the especial intention of showing that the Institute and the whole Work belongs to me equally with Mr. Gurdjieff…. When I connected all these things together I saw that, under such circumstances, Mr. Gurdjieff could not act otherwise than he had….The Work in London was begun by me, without orders and without approval from Mr. Gurdjieff [but] according to my own understanding. And the interest which Mr. Gurdjieff took in that Work showed me that I had acted in the right way. But this Work cannot exist, and has no sense and no meaning, without the connection with Mr. Gurdjieff's work; so, the moment when I heard that he no longer found it possible to work with me, I saw that I must stop the Work in London. But he didn't disband his London groups and so the octave of the Work broke into two which presaged the unfortunate splintering that was later to take place. The Institute was started with a very wide and very varied program. Some of my friends helped Gurdjieff in the financial side of the matter. But unfortunately the contingent of people with whom Gurdjieff began his work left much to be desired. And for me personally it was clear almost from the very first that his undertaking could not be a success. Moreover the character of the whole organization in the Institute was not sufficiently sustained and did not correspond to the principles of organization and work of groups which Gurdjieff himself had explained to me in detail before. The chief evil was the fact that the people, who by their conduct in the Institute and their attitude towards Gurdjieff and other members of the Institute as well as towards the ideas of the Work itself, had clearly shown that they were unsuitable for the proposed task were not immediately removed, but were allowed to remain at the Institute for a long time, spoiling the work of others and making a caricature of the work of Gurdjieff himself. And when in the end these people left the Institute, they invariably accused Gurdjieff of something, either of not carrying out his promises or of something of which usually they themselves were guilty and which they were afraid might become known. Generally speaking, one may have different opinions about how much the Institute had the character of a "school"; one thing however was certainthere was no lack of "Judases."